For being such a high profile crew, BCC was inexplicably insular. 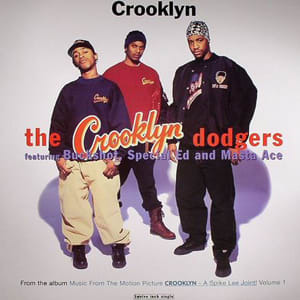 So much so that "Crooklyn," a one-off track by a one-off supergroup formed in support of the Spike Lee joint of the same name, was one of just two extra-crew cameos Buckshot made in his prime. (The other was a brief verse on a long-forgotten posse cut from the Panther soundtrack.) Alongside fellow BK brethren Masta Ace and Special Ed, Buck waxes rhapsodic about the county of Kings.